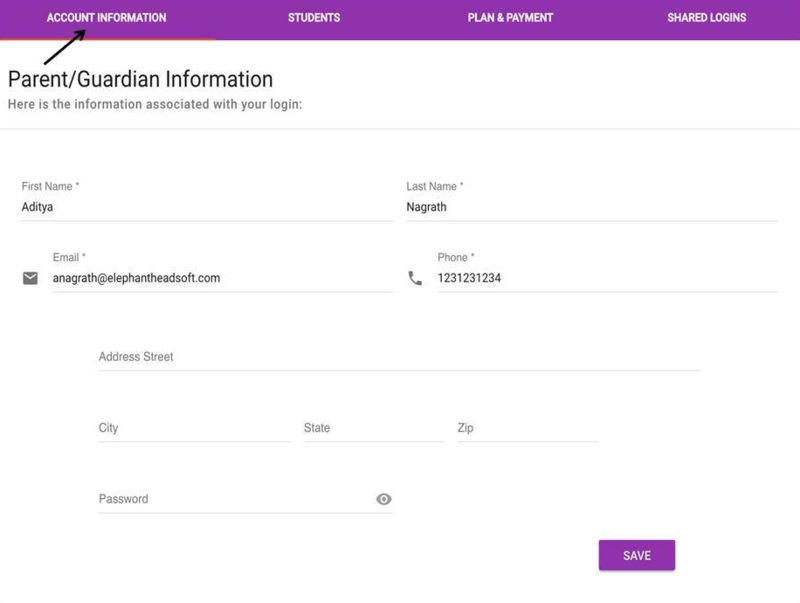 When you go to the Manage Account menu item, the first screen that is presented is the Account Information screen, where you may manage your personal information within the system. We ask parents for their address so that we may send them items within the mail to help motivate children. If you have not entered your address, we may email you when this happens so that you know. We ask for phone numbers in case there is a reason that one of our faculty needs to contact you.